You may have your fantastic idea, your manuscript and even your agent in place and ready to go, but the world of book publishing is far from straightforward. In fact there are many secrets about book publishing that anyone wishing to go into this field should bear in mind. Having a talent and a manuscript should be enough but it isn’t. Instead, getting a book published takes a lot of hard work, research and time on your part. Besides all this, it can be a lonely job coming up with a story and characters all by yourself while your friends are out with colleagues, moaning about the boss. This of course can make it immensely satisfying, being your own boss definitely has its benefits but the sense of isolation it brings can be lonely. Then of course there’s the disappointment of rejection. No-one likes being told no but when you’ve poured your heart and soul into something, it can absolutely tank your confidence, not to mention your creativity. Perhaps the hardest part of all comes with selling your books. You might not think this is your job but the reality is that you will work just as hard selling your life’s work as you did creating it. Well it can do but not all that often. There are times when, even though your last book is still going through the marketing process and you’re not even sure anyone will buy it, that you have to push on with the next. It can be disconcerting not knowing who, if anyone, you’re writing for but it’s important to keep focussed. Perhaps the most surprising element of this secret is that suddenly a decade later your book could suddenly find success and come out from relative obscurity to find fame and a new readership. This resurgence might happen time and time again and will take you by surprise every time it happens. Each event is a bonus, so embrace success when it comes. If you’re lucky you’ll land on your feet with an amazing agent, editor and publisher. If you’re lucky. Chances are you’ll probably get one or two out of three and then it’s time to have a hard, long look at exactly how these team members are working for you. While agents tend to act as the gatekeepers to the publishing houses, it is entirely possible to reach out to publishers without an agent, particularly if your work is niche and ticks something the publishing houses want. Some editors just don’t have time to edit your work, so don’t feel it’s just their job to proofread and check for problems. 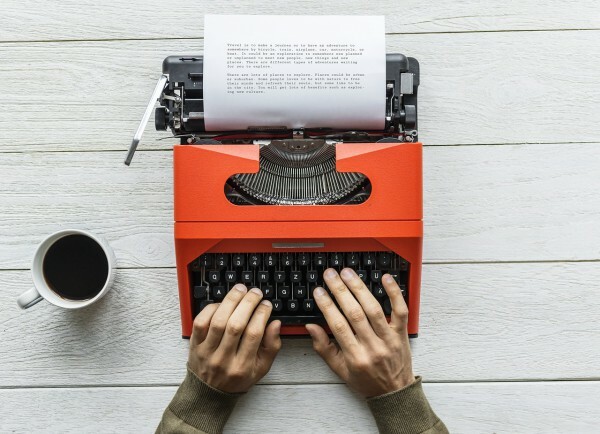 If you’re writing, then the product you hand in should be the very best you can offer and, yes, that means free from spelling and avoidable grammar mistakes. Once you’ve read through your work with an editor’s critical eye, it’s time to let a trusted and competent friend do the same. After that, it’s time to leave it to the professionals, so look to online resources such as Writinity , to act as writing tools and proofreading help. After that you can hand over your writing with the satisfying knowledge that you’ve done all the hard work and if your editor doesn’t do as much editing as they should at least your copy is clean. The same goes for DIY marketing and DIY selling, while you will initially rely on an agent or publisher to sell your wares, this does not have to last. It’s surprising how many authors quickly figure this out and come up with their own social media marketing exercise in order to sell more copies. Don’t sit back and just hope for the sales, get involved from the word go and you’ll be one step ahead of the game. Go to literary festivals, talk to your local independent bookshops, anything that gets your book on the shelf. If you can’t find much of an outlet, consider a DIY approach to this too. Set up your own online shop, set up stalls at arts fairs and organise a meet the author evening. The secret to selling success does not just lie with the publishers; it’s very much down to you. Writing and publishing your own novel can be tough and it can be cruel. Being told that your life’s work isn’t up to par can be absolutely heartbreaking. However, one or even several rejections are not the end of the road. If you truly feel you have a project worth printing, then persevere until you get a yes. Remember that a lot of publishers are looking for something that you might not be offering. It’s not that they don’t like your work in particular; it’s more that they are hoping to attract writers on a different topic. Perhaps it’s easier said than done but to write full time, you’ll need to become less sensitive to what other people think of you and more confident in your abilities as an author. Finally stop looking for insider tips, even like this. The secret to writing success can be summed up in two words: perseverance and hard work. Focussing on these two aspects for success, you will see progress in your chosen profession. Anyone offering to make you a success overnight is selling snake oil, far better to build firm literary relationships with a steady foundation of readers than attempt to bypass the system with a get rich quick scheme. Publishes or agents offering the latter will fail you. You and your work will not get the recognition that you deserve and starting again will feel harder than starting in the first place. Be proactive and forward thinking in what you write. Look for a niche and see if there’s any way you can fill it. Once you’re set to be published, start planning ahead and looking for ways to market yourself and your material. Get yourself completely up to speed with social media platforms and consider which one your target audience is hanging out. Are you pitching to the Instagram users? Make your profile open, accessible and active to this group, likewise for Facebook and Twitter. Also consider getting your own website updated and relevant. With determination, confidence and perhaps a little luck you’ll be thinking about your next trilogy in no time at all.